FRP Rear Finish Panel @ 949 Racing - Miata Turbo Forum - Boost cars, acquire cats. 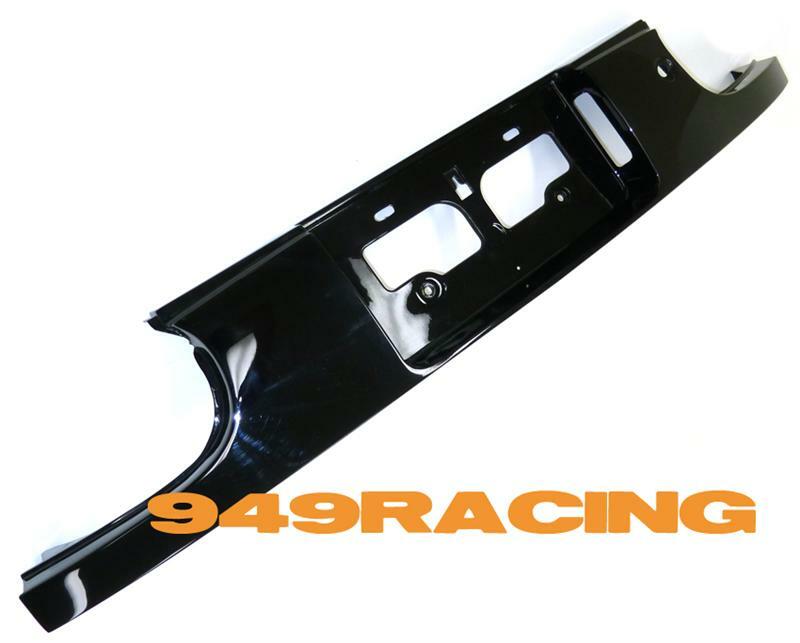 We now have light weight OEM replacement rear finish panels for the NA. These are vacuum bagged, autoclaved fiberglass reinforced plastic (FRP). Painted black, not available paint matched. About half the weight of the OEM ABS plastic piece. And....less likely to shatter into a million pieces? Pretty stout construction, it's not brittle the way a 20 year old piece of sun damaged ABS is. I wouldn't use it as a hammer or tire chock though. Clicky picture or signature, or banner ad..
Is the oem one that heavy? I always see "weight reduction" listed for these peices but the stock one couldnt be more than 3-4 lbs anyways. 3lbs, vs 1.5 for this one. Main thing is it costs a bunch less than the OEM piece. The construction method is a bit overkill, pretty much the same way you make F1 chassis. I have a very bad habit of breaking these on my cars. I'll have to order one of these before the car goes to paint. Cool product man. Especially since it is cheaper than OE. If mine breaks, i will buy one.